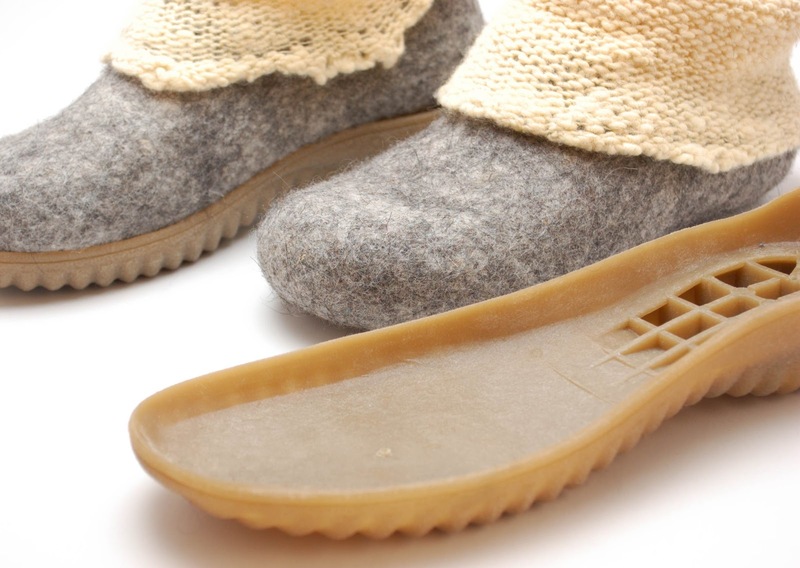 Traditional felted boots (valenki) can be worn in the frosty winter without any additional soles on the clean white snow. Usually they are thick and extremly warm. 2. felted boots should be stitched to the soles, glueing is not enough as felt can peel off while wearing together with the soles and glue. 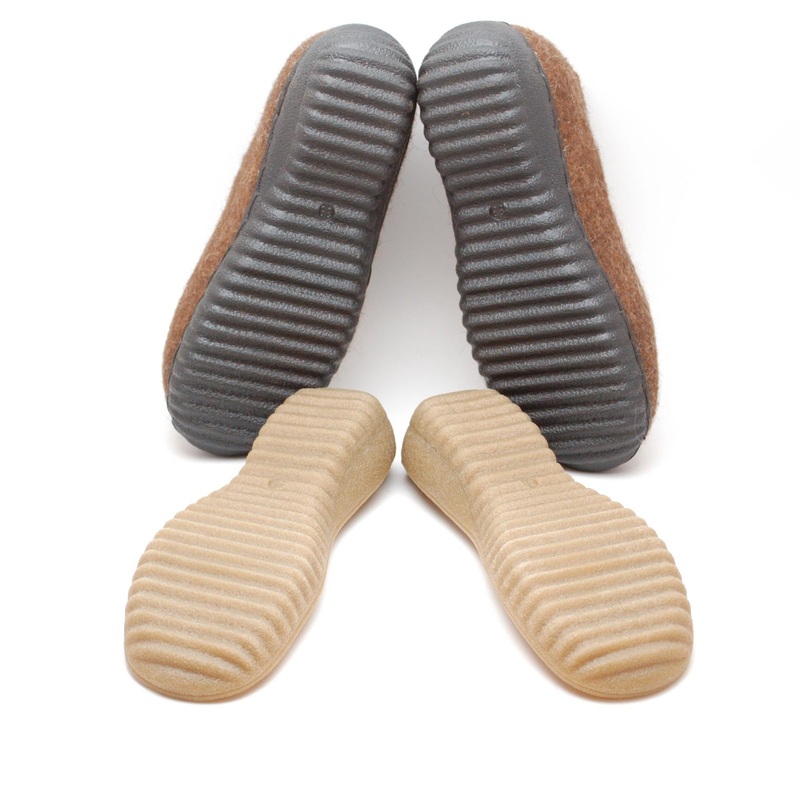 I do not put any insoles, but shoemaker, who adds soles to my felted boots, puts necessary underlays between the soles and the felted shoe. 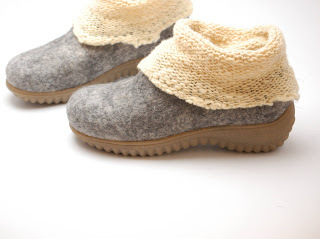 So the feet touches only natural wool felt, like in felted house clogs. 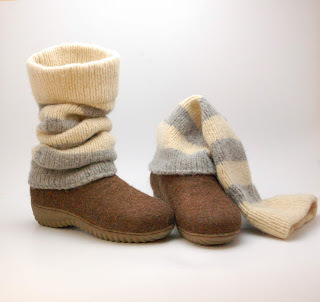 But shoes also they can be worn outside thanks to a high, water and cold resistant soles.